Machete, played by Trejo, is an ex Mexican police officer. After he watched his family get brutally murdered by a villain in Mexico played by Steven Seagal, Machete fled to the United States and retired from work. Three years later, a politician started making waves about his opinionated hatred towards illegal immigrants. 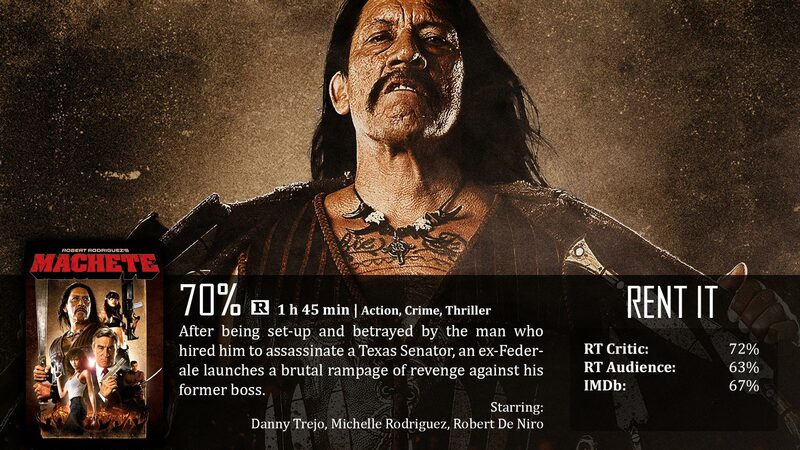 Machete is hired to kill him, but he later finds out that he was set up to make a martyr out of the politician, making his approval ratings sky rocket. Machete wasn’t supposed to live the set-up, but once he did, he was out for revenge – against the entire network of immigrant oppressors, ultimately leading him back to his old foe. Well, what a movie we have here. From the beginning, you know the filmmakers weren’t taking the film seriously – and that’s the point. This was a – for-the-heck-of-it kind of film. It was never made to win awards, it was made for the audience to just have fun watching it. The gore is artsy, but over-the-top, the acting is ridiculous most of the time, it’s incredibly shallow, but hey…who cares, really? It knows what it wants and it goes for it. I don’t think anyone really cares about the movie’s plot, really, but it does have a decent one. It’s a story of freedom and what’s right versus what the law governs. It’s a story of redemption and heart, and it’s not hard to see the film does have soul. The leading characters of Trejo, Alba, and Rodriguez are all brilliant. I’m one who is often seen complaining about movies with too many A-Class actors because those films often have a loose plot that’s hard to keep track of. This can also be considered an ensemble film, but it’s one that’s done tastefully. You actually care about the characters, which makes it that much better of an experience. If I had one complaint about the film, is that it may have gone a bit too far in the beginning. A pregnant woman is shot in the stomach. This was done to have the audience reel back in disgust and really hate the villains of the film – which I do get, but it’s still a bit too harsh. I can’t see anyone particularly liking that scene. Other than that – freaking Steven Seagal. I really didn’t like his character. He wasn’t someone that you can love or even love to hate…he just doesn’t feel like he fit into the movie. Sure, like everyone else in this film, he is a stereotype of himself, but if anything, he proves that that formula doesn’t just work for any actor. This film has a very specific flavor, and Seagal isn’t an ingredient that supports that flavor. Agreed. 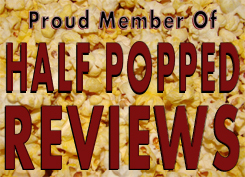 A homage to Grindhouse cinema to the extreme, this one is fun with somewhat interesting lead characters and some clever action.